Who would believe that it has already been 4 years since John Galliano was asked to resign his post as Head Designer for Dior – time really flies! 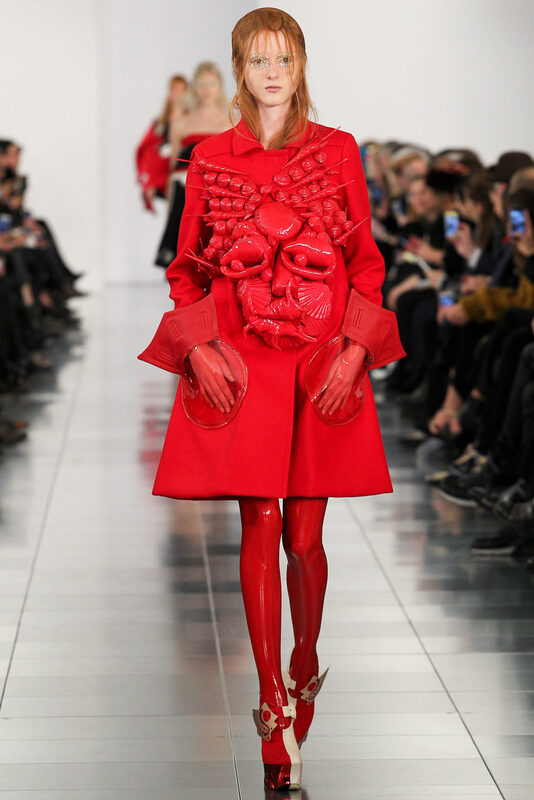 After being off the scene for a long time, Galliano finally is back in the game and was appointed as designer for Maison Martin Margiela – and wow did he come back with a great bang! With his first debuted show in London just one day ago, we can comfortably say the designer is back and he is back strong! Knowing to never expect anything typical from neither Margiela or Galliano, the couture show was showcased in a very intimate looking setting with tiled flooring and simple white chairs on either side. Beautifully draped dresses, over the top headpieces, statement coats and gloves; would you really expect anything else from the duo? 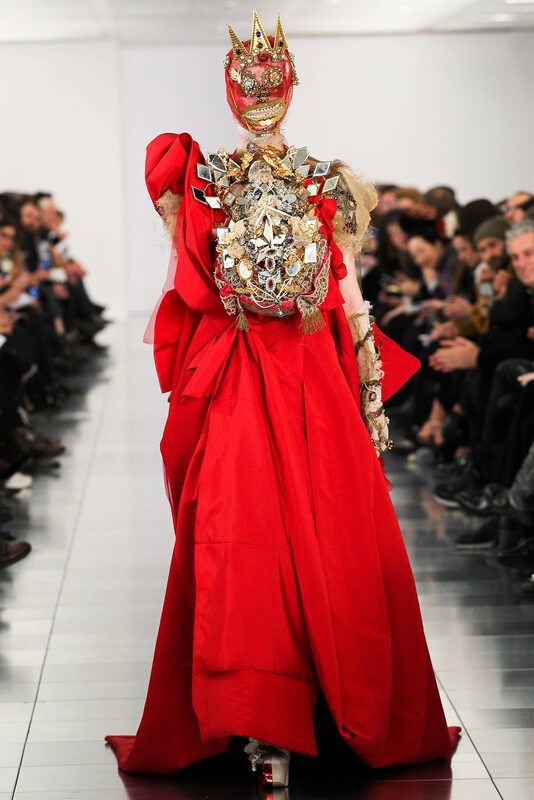 – I have always described Galliano’s designs as theatrical and over the top stage ready; and that is exactly what this collection was all about. It comes as a shock these two did not work together long before; I guess it is true when they say there’s no sunshine without some rain! The collection is getting positive reviews through some are saying “no standing ovation” (to be honest the last collection of Mathieu Blasy for Margiela was exceptional) but this work is a shape for the things to come, then this is a match made in heaven! They really are a match made in heaven! I loved it!